Featuring padding built into the hip, thigh and tailbone areas, the Riddell Power Cg Padded Football Girdle offers top end protection. Breathable and lightweight moister wicking material designed to help keep you from overheating on the field. 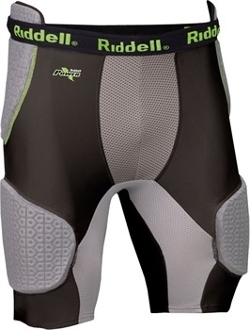 Its body contoured padding and elastic waistband help create a custom fit.